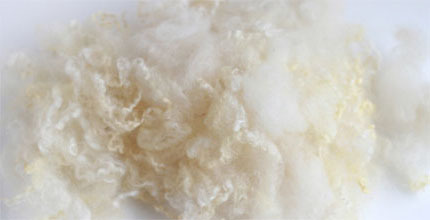 Before processing raw natural fibres appear in compact blocks and the filaments keep within them a lot of impurities. 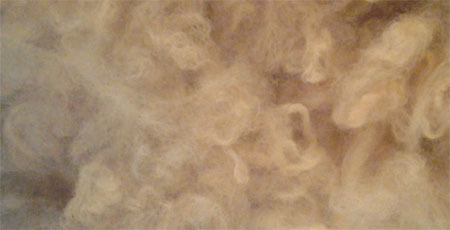 During the preparation, these masses of fibers are mechanically opened to form smaller tufts. During this phase there is also the removal of impurities. The opener Ramella is designed to open the fibres without breaking the filaments and to optimize the removal of impurities. 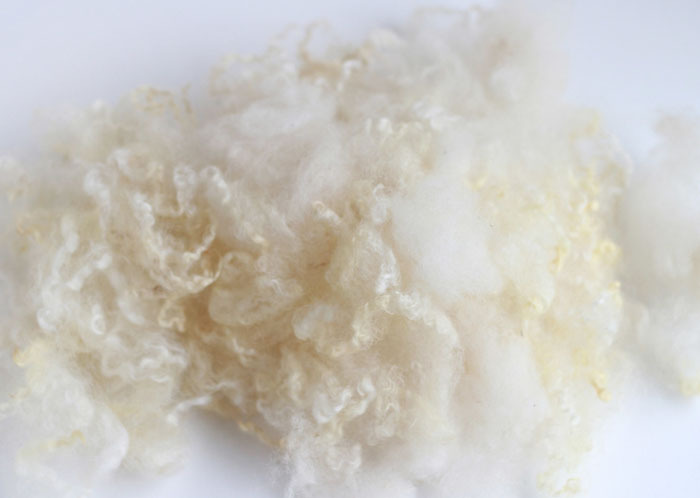 The opening of the fibers is done by a pinned roller that rotates at high speed. 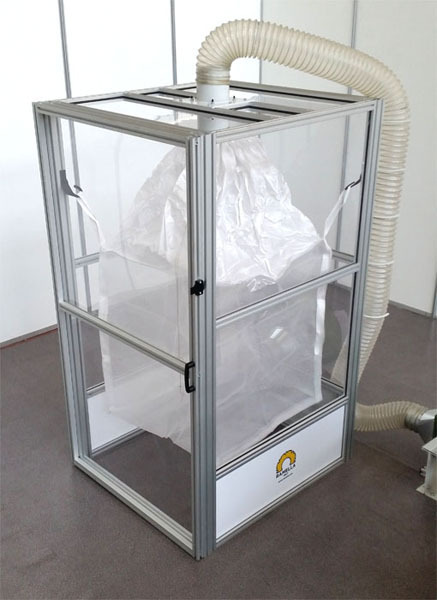 The removal of impurities is done by filter walls and a powerful air flow combined with the centrifugal force. The opener Ramella is designed to achieve high productivity with compact dimensions. 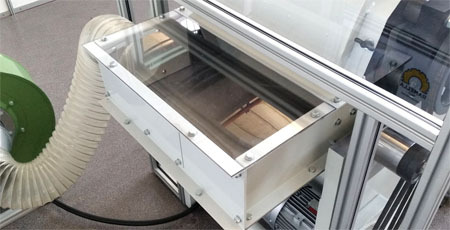 This machine consists of two independent parts connected by a fan and a transparent tube for transport. 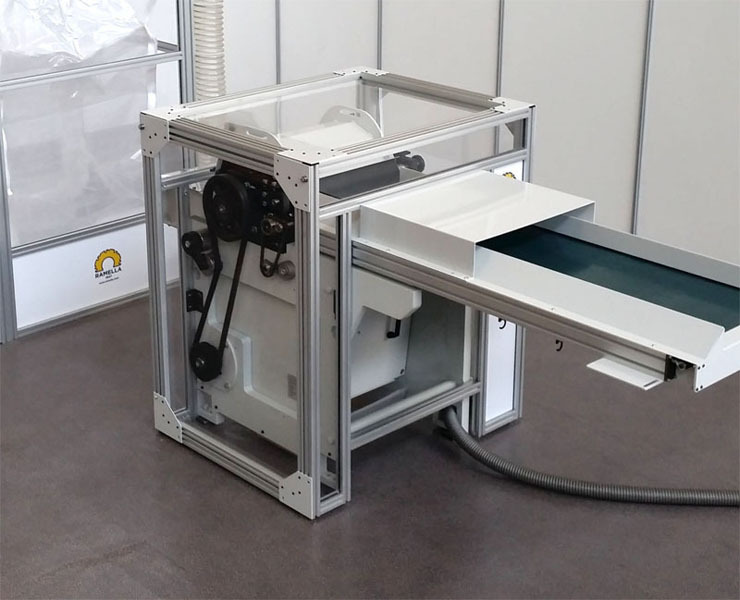 In the first part the operator put the fibers on a long feeding table, the material is introduced into the machine by a solid input unit. 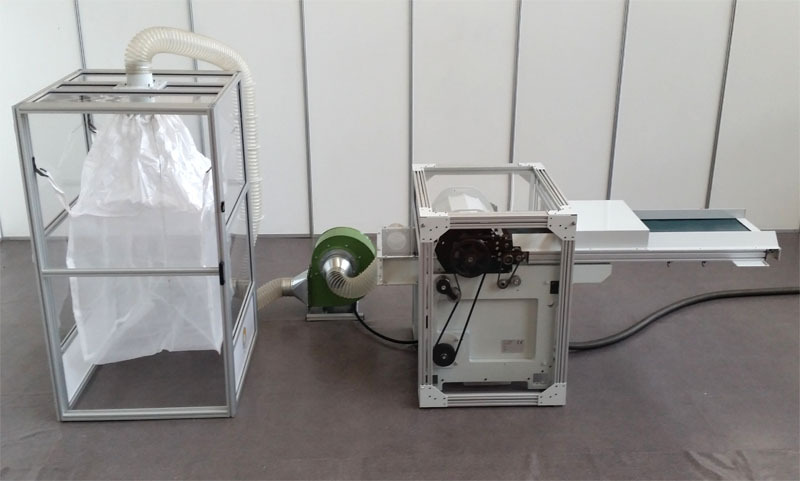 At this point the material is taken by a pinned cylinder suitable for opening the fibers without tearing them, at last, thanks to the centrifugal force, the material goes in an intermediate storage room. 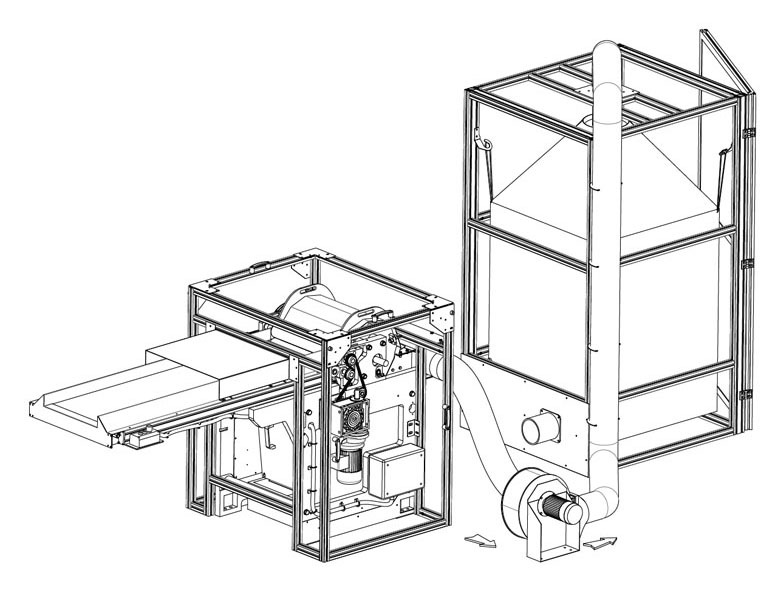 The second part of the picker begins with a centrifugal fan carrying the fibers through a transparent plastic tube. 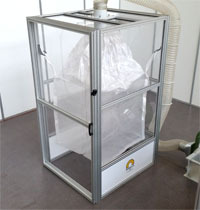 The material is blown inside a ventilated big bag that can be easily removed from the storage room. The opener Ramella is characterized by a pinned roller equipped with thousands of pins that rotates at high speed (900 rpm). Straight pins of hardened steel are placed on wooden lags and fully cover the cylinder surface. The cylinder is balanced to prevent vibrations and its internal structure is made entirely of steel. 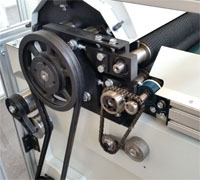 The input unit is composed of two cylinders wired and introduces the fibers evenly into the machine. 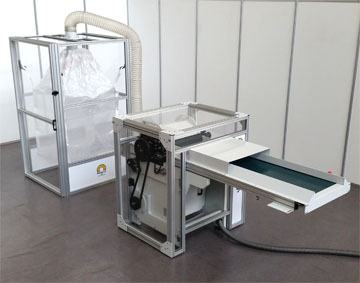 These features allow you to quickly open the raw fibers without tearing the filaments. Below the pinned roller an adjustable perforated grid is positioned. 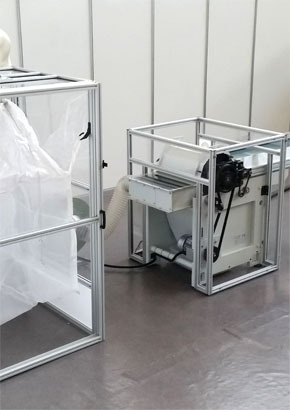 The opened material hits the slots of the grid, this impact, combined with the centrifugal force, makes easier the separation of impurities that can drop in a central room where are collected into a container. 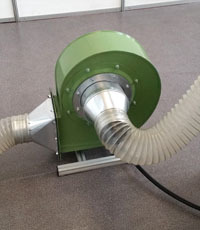 A centrifugal fan blows the fibers into a ventilated big bag where the material is free to move vortically. 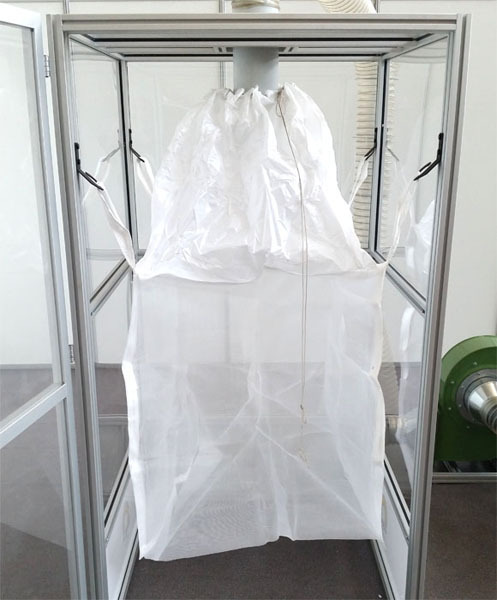 The dust contained in the material is removed by this air flow, it passes through the perforated mesh of the big bag and is captured by a filter to prevent it from dispersing into the environment. 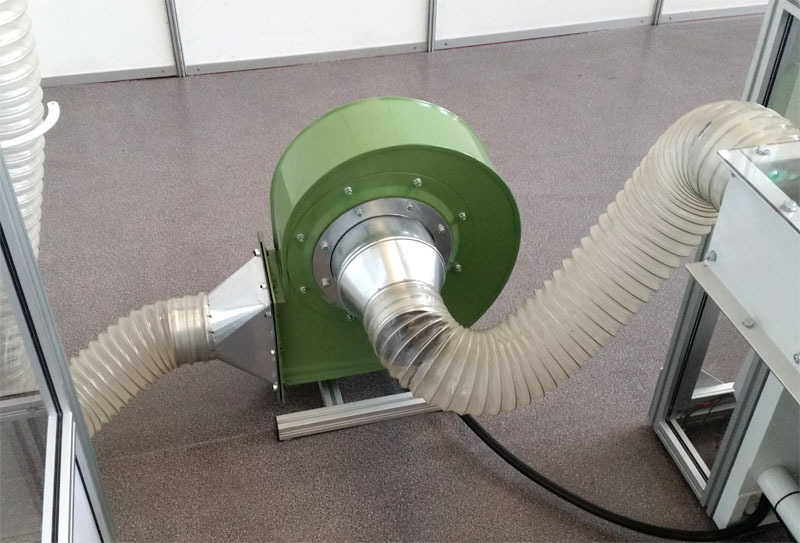 To promote the removal of dust and impurities the picker includes a powerful centrifugal fan (Power 2.2 kW). 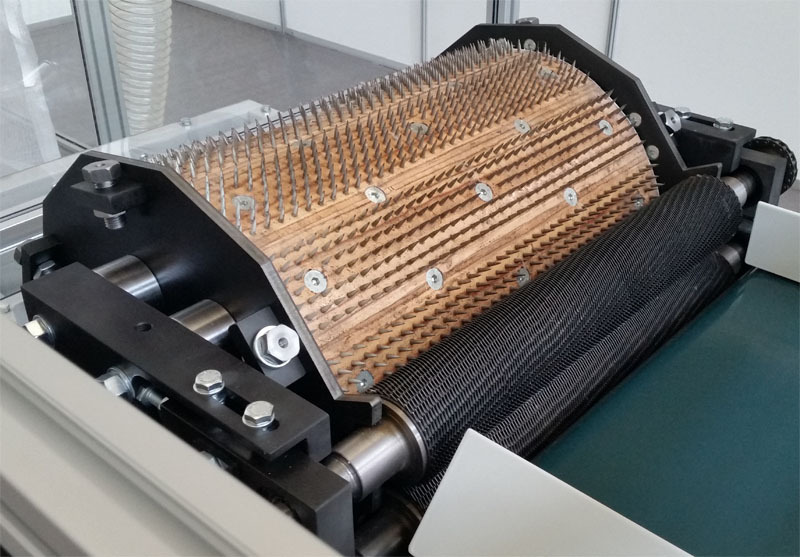 The upturned blades configuration makes it suitable for conveying fibers by preventing these wrap around on the rotating shaft. 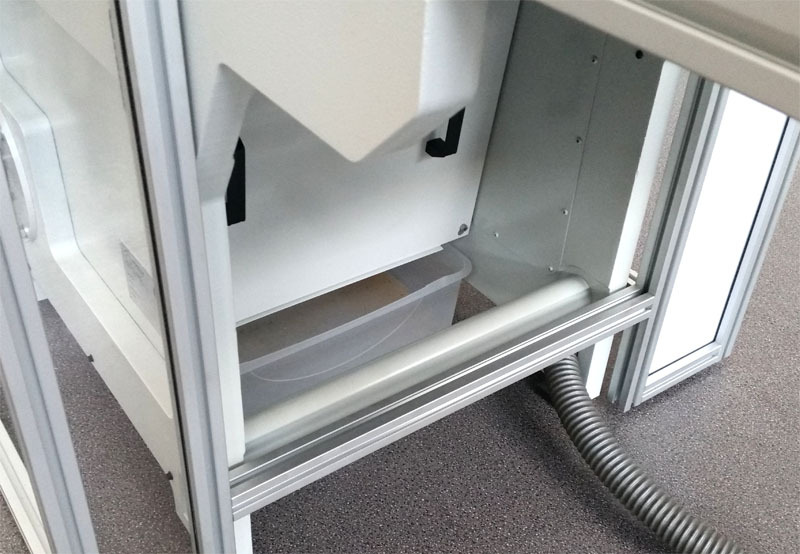 The presence of the fan also allows you to carry the fibers at a greater distance and this allows to position the storage room where it is more convenient. 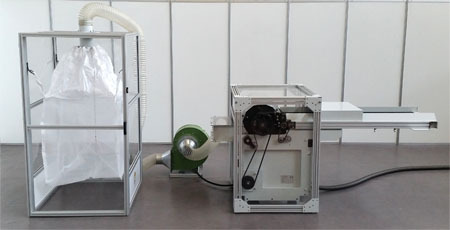 The ventilation system can be configured in two modes: compression and aspiration. 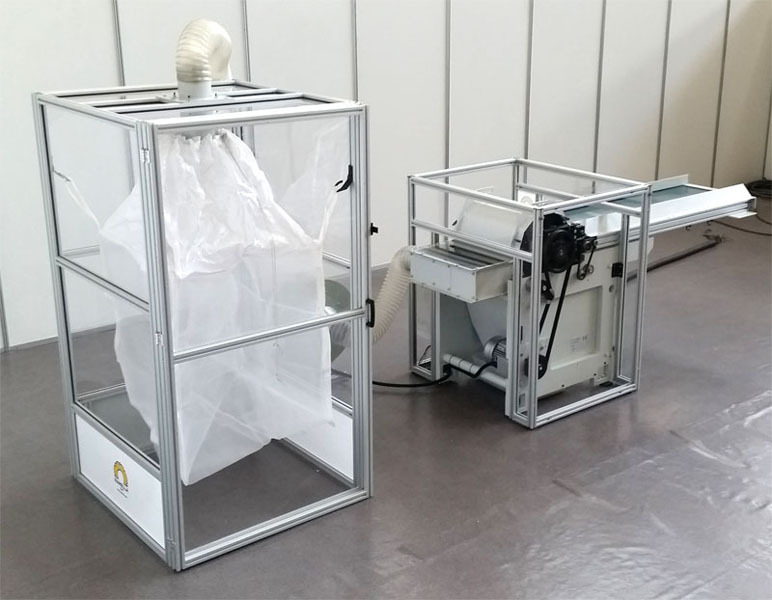 The first configuration to allows to maximize the dust removal, the second configuration is used for a minimum wear of the fan. 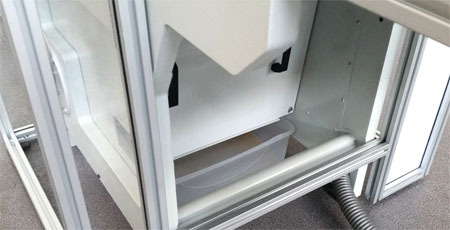 The opener is equipped with an aluminium storage room with a large access door. 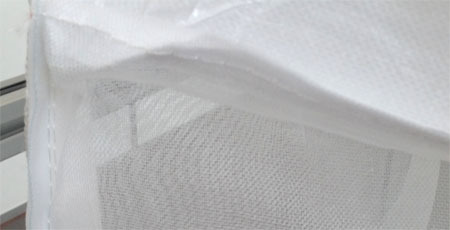 The transparent walls on all sides and the clear plastic tube allow controlling the fibers throughout the process. 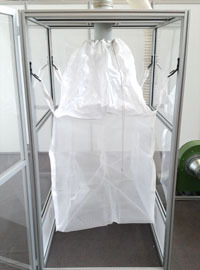 The fibers are directly collected in a big bag (100 x 100 cm, H = 150 cm) and are immediately ready for further processing. The picker is provided with many big bags of two different sizes that can be inserted and removed very quickly. 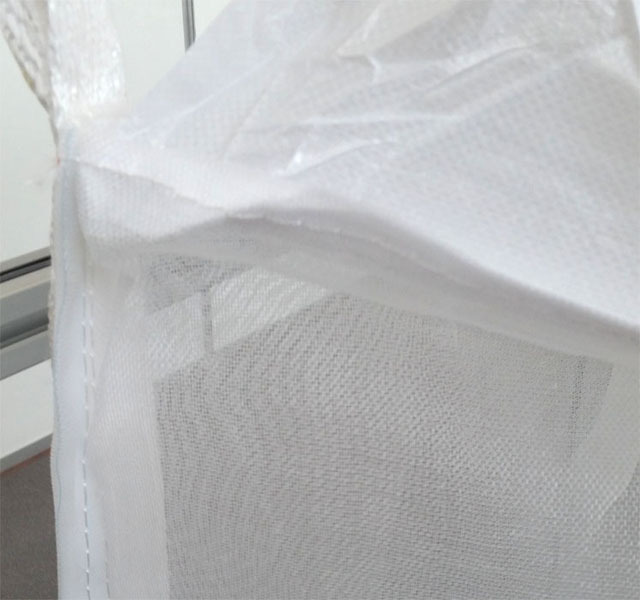 All big bags have a fine mesh to allow ventilation of fibres and dust removal, also, they come with a handy top closure in case the fibers should be stored. 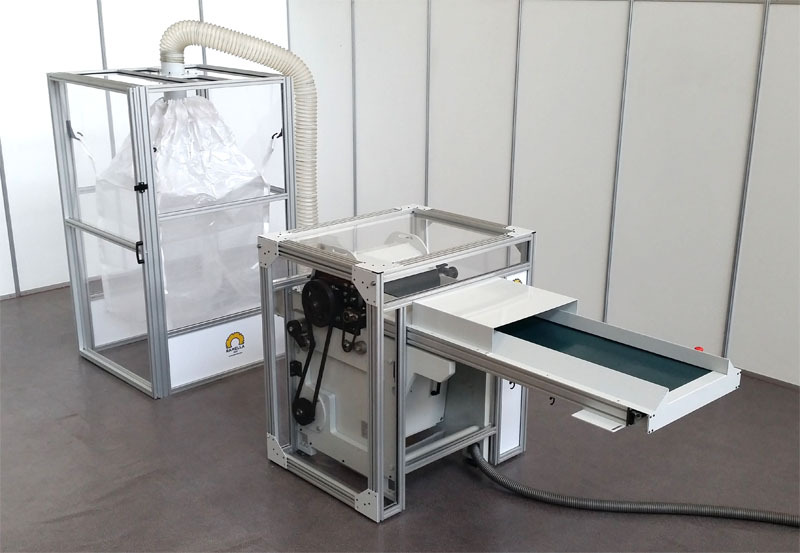 The opening of the fibers and the removal of dust and impurities are needed to work effectively with high quality. 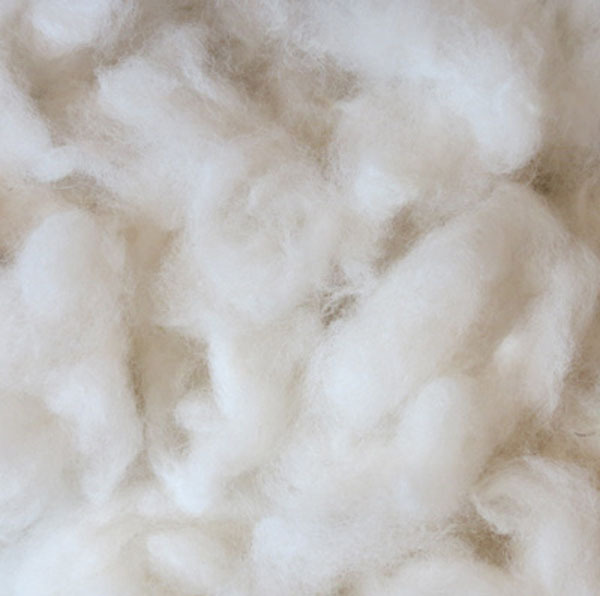 Fibers not opened are badly processed by the carder and the final result will be a poor sliver full of irregularities and a low productivity. 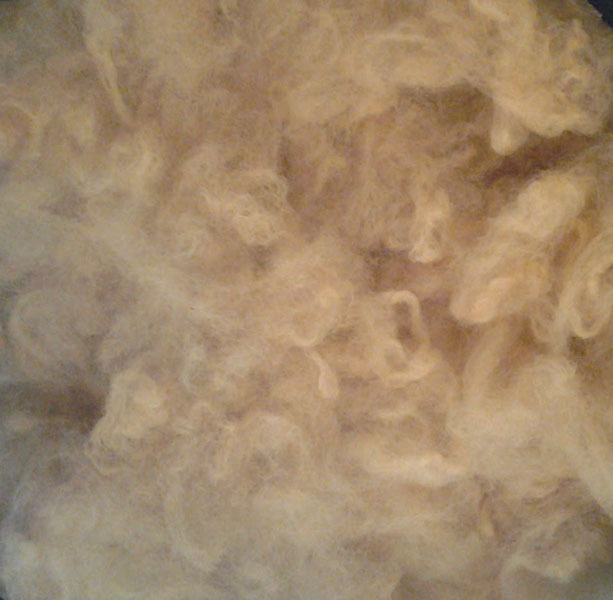 Fibers not clean will reduce the quality of the final yarn and they'll be very hard to process because the dust will stick against the rollers. 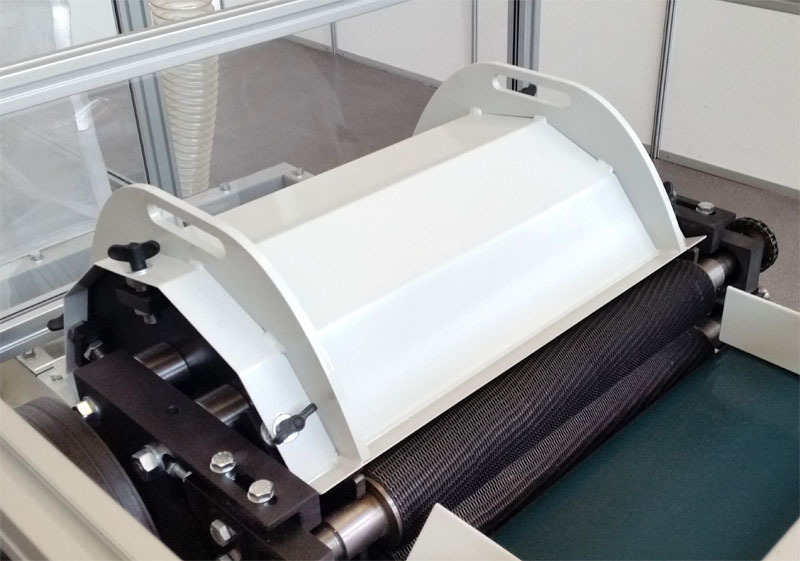 • A solid and stable structure that allows the pinned roller to rotate at high speed. • A pinned roller equipped with thousands of pins of hardened steel. • A long feeding table with side borders for a regular insertion of fibers. • Different systems to remove impurities: the slotted grid under the pinned roller, the centrifugal fan, the ventilated big bag. • Storage of fibers directly into big bags easily removable. • A structure completely protected with safety devices that follows the existing legislation. 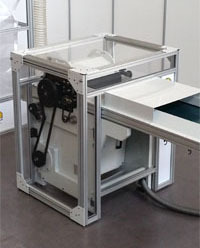 • All motors controlled by the inverter to optimize the speed depending on the processed fibers. 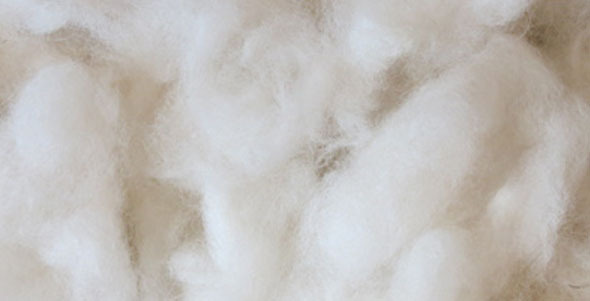 The opening of textile fibers requires solid structures that can withstand the forces generated during the process. The opener Ramella is characterized by a steel frame 4 cm (1.6'') thick fully machined, this structure is connected by solid steel crossbeams. This solid structure allows the pinned roller to rotate at 900 rpm without vibrations. All surfaces are painted or chemically treated to last long. The opener is driven by 2 independent motors and the centrifugal fan, all these motors are electronically controlled by 3 inverters. 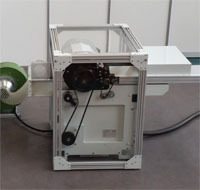 With this configuration, it is possible to change the speed of the rollers in a simple and immediate way. 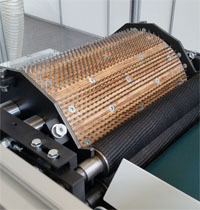 This flexibility allows you to work with different fibers with the best conditions without any mechanical intervention. 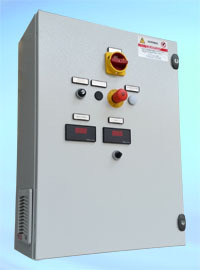 Electronic devices are contained in an electric panel with ventilation filtered to protect sensitive electronic parts. Outside of the panel are positioned the control knobs and speeds are displayed on large displays. 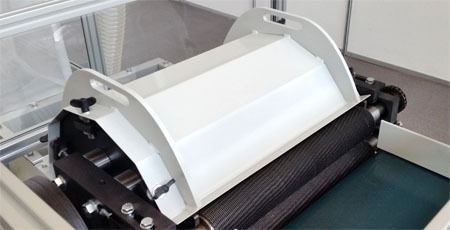 A button panel placed on the feeding table enables an easy start and stop of the picker. To provide maximum security our opener is fully protected with an external safety structure made by aluminium. 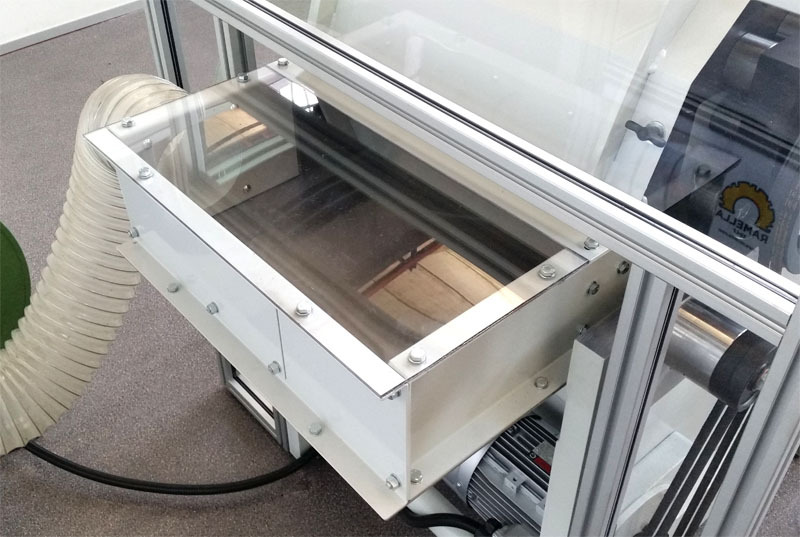 This structure consists of 3 removable panels with transparent polycarbonate glasses that allow the containment of the dust generated during the process. Also, the storage room is almost entirely made of aluminium and transparent polycarbonate. The choice of anodized aluminium was made to allow greater lightness of the removable panels, and to ensure a shiny appearance over time. Every single detail of the opener Ramella has been designed using modern 3D CAD. 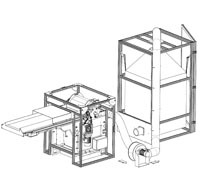 All components have been designed to obtain a high-performance machine with an excellent quality/price ratio. 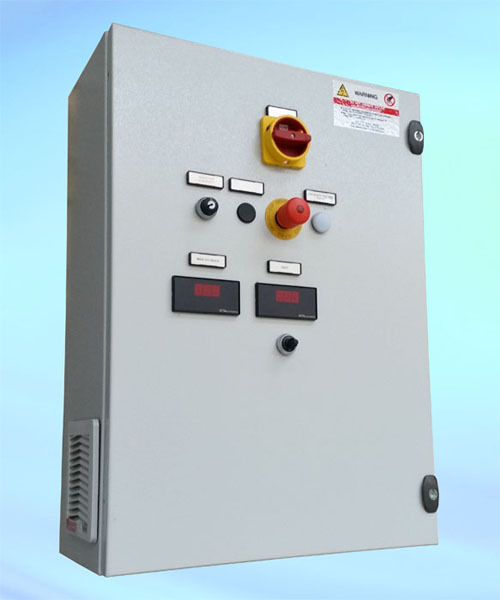 Even the electric panel has been designed to make the use of the picker simple and intuitive. 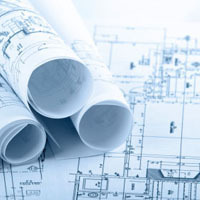 For the production of components are used CNC lathes, milling machines and modern laser cuts. The steel used is of premium quality and all the commercial components come from suppliers with well-known brands.